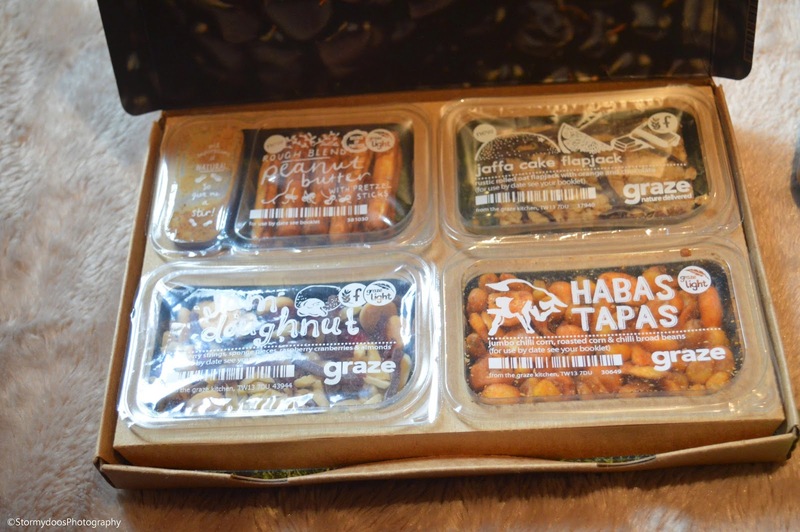 Storms Blog: MY GRAZE BOX ARRIVED! 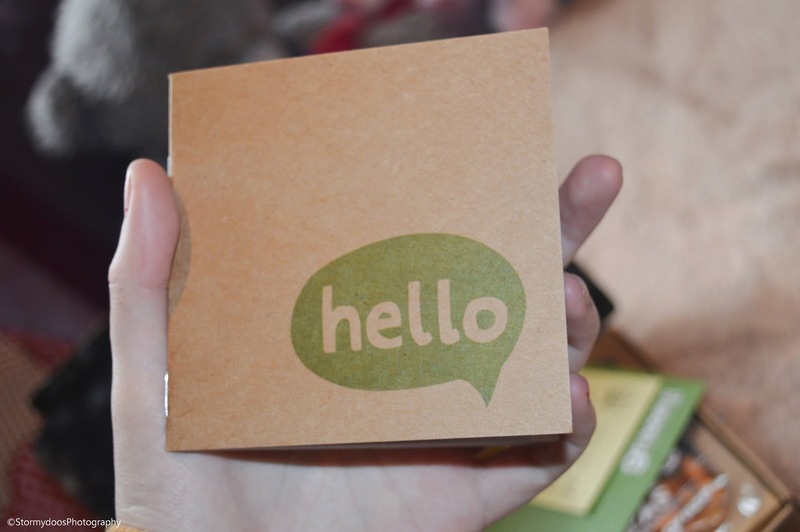 A couple of days ago I woke up to the wonderful surprise of my Graze Box being delivered. 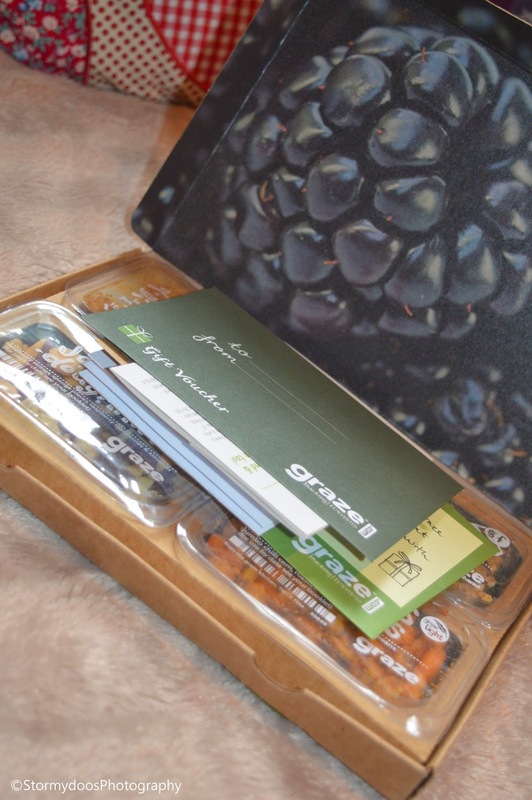 If you aren't familar with what a Graze Box is, let me explain... 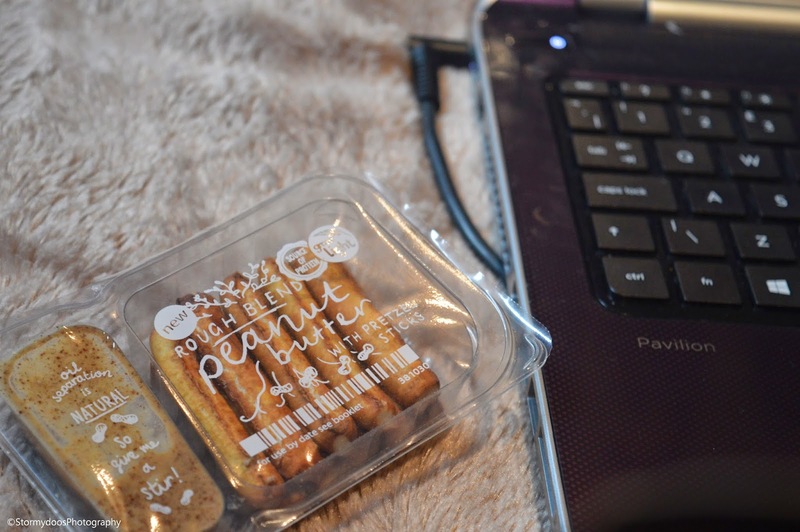 It is a box which contains tasty healthy snacks! You can choose from hundreds of different combinations to create you own box. As this was my first box I honestly didn't know what to expect, so I just chose an already 'put together' box, meaning the snacks inside were already chosen. My box contained; Jam Doughnut, Peanut Butter with Pretzel sticks, Habas Tapas and Jaffa cake flapjacks. So, what actually is each of these snacks? Jam Doughnut - Raspberry strings, sponge pieces, raspberry cranberries and almonds. Habas Tapas - Jumbo Chilli corn, roasted corn and chilli broad beans. Jaffa Cake Flapjacks -Rustic rolled oat flapack, with orange and chocolate. Personally my favourite snack out of my whole box would have to of been the 'Jaffa Cake Flapjacks' because I am simply not a big fan of the other ingredients in the other snacks, although this was my fault for not changing the content of my box. I highly recommend ordering yourself one of these boxes as they aren't expensive and are a great way to begin to eat healthier. 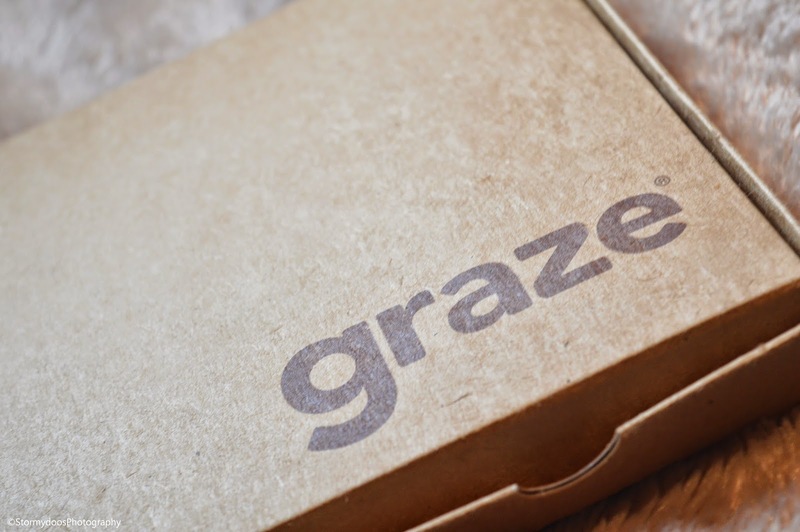 You can order yourself a Graze Box by clicking here Order Yours Now! 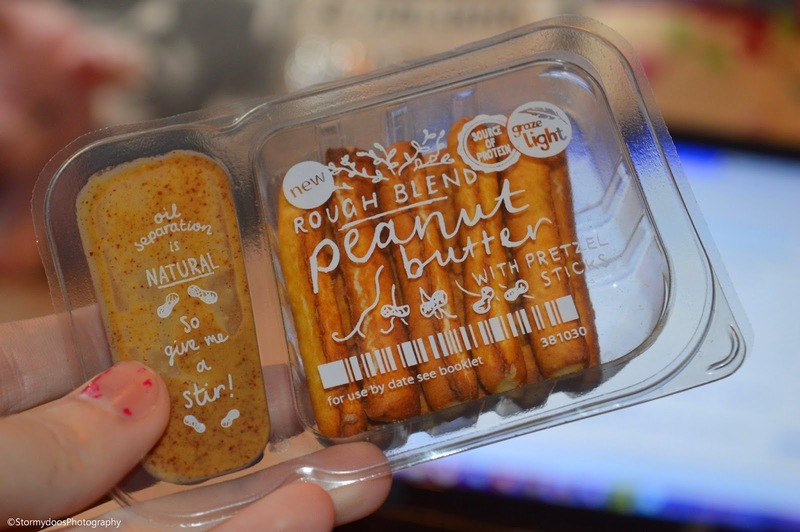 Finally I really liked the fact that each snack was individually packaged meaning you could easily take them to school or work without having to take the whole box with you! Also, when I opened the box I really loved all the infomation about the company and the vouchers, nothing beats something being nicely packed!